High Quality Perforated Window Decal Film ! Our perforated window film is the most popular in our local area, and with the ability of allowing for one sided vision, perforated window films can be used to create privacy in an establishment. Our 30x48" window perforated poster for pre-schools are admired by our customers, and kids love them too. You can also order our 12x24" window perforated poster for salons. We use digitally printed graphics for the window film without fear of fading or water damage over time. Our full color paper poster printing will stand out in your store or restaurant with it's high quality. As a long-time manufacturer and installer of perforated window films, our company can assure you that the installation of your perforated window film project will be completed with the superior quality that our clients always expect from us. You can also order our online digital printed vinyl banners printing that will further convey a positive impression of your business to your clients. Inside Mount Window Perforated Film is a 5.7 mil PVC film with a 60%/40% Perforated pattern. (60 percent printable area, 40 percent open area pattern) It has a unique low-tack grip adhesive that’s repositionable and easy to remove with little to no residue after it’s removal. Print on the window grip adhesive side, which has an ink-receptive coating, and apply the graphic to the inside of the window with the adhesive and image facing out. The polyester liner ensures a smooth application, since it helps prevent the film from tunneling and curling during installation. There are so many good reasons to apply graphics to the inside of a window facing out toward the street. The restrictive sign codes can be used as extra protection from vandalistic passersby, with the ease of a sheltered indoor installation. Order our 18x24" window perforated poster for pizzeria today and reign in customer attention at your restaurant. Printing Xpert's Inside Mount Window Perf Film makes these inside window applications even easier. 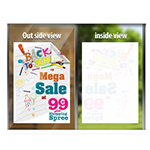 Our vibrant full color static window cling poster are great for displaying new items or sales for your business. The film has a unique low-tack grip adhesive that’s repositionable and easy to remove with little to no residue after it’s removed. Once the film is applied, it will stick to the glass for up to a year. The 60/40 perforation pattern provides image quality and clarity when viewed from the outside and is see-through from the inside looking out. Perforated window decal film apply on the outside of the window. Perforated window decal is printed by using full color. Window decals are a great option for turning your windows into a marketing space with these advertising tips. 1. Take advantage of your store window by promoting your business with sales and promotional items, discounts and clearance items. 2. Window stickers are ideal way to communicate important information to your customers. An impressively designed poster could result in people stopping for a while to pay attention. 3. By advertising with window perofrated film, you can see out from the inside while the outside observer can only see the marketing graphic. Light can also pass through the window graphics. Standard perforated window film has a variety of uses in addition to its standard use on vehicle windows. Perforated window film is a type of graphic vinyl that allows the person inside the vehicle to see-through. The material has small holes throughout and it allows back window graphic to be seen clearly on one side. The light plays a very important role in see through film; when used on a window only, the graphics will be seen from the side with more light and you can still see through from the darker side of the window. Our Long Island perforated window film manufacturing company provides the best installation services at a low cost. Our company also offer the New York full color truck wrap printing with the highest quality at an affordable price. 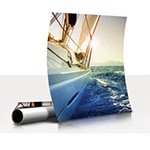 Adhesive vinyl printing material is almost similar to vinyl banners. 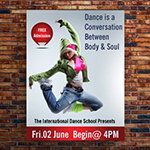 It can be used for all types of printing advertisements, even large format ads. It can add style to every type of marketing tool. You can get it done when your perforated window decal is placed anywhere and everywhere - in or out of your office or work place. Place it wherever you want. Since it is adhesive, you can use the film or the surface again and again. Our highly trained and extremely talented team of printing professionals can manage all the aspects of Adhesive vinyl printing for you. Our skilled team not only designs the advertisement for you, but we also install it wherever you need it to be. We provide the most cost effective - and lowest cost available - adhesive vinyl printing in the USA. These customized perforated window films can be used with graphics printed on the back of the window decals and applied to trucks, cars, large office windows, vans etc. The perforated window film material is long lasting and durable, and it is very easy to apply to any kind of window. It is considered the cheapest way of advertising, and our safe perforated window film creates a great look to show off to the customer and privacy for you. Our perforated window film can be provided with all new colors, at the request of our customers. We also provide our customers with discount business envelope printing at a low cost in Long Island, New York. Window decals sign are good for advertising and marketing; use window decals for promoting your business on oil drums, containers and products. Order our custom printed decals and labels. We use quality material for window decal signs. Our online window decal signs are available in full color range and they are suitable for stickers, labels, or decals. We can make your custom decal with vinyl, paper, polymaterial sticker and reflective sticker material. We are commercial decal makers and can make quantities large or small. We are the best low cost manufacturer of window decal signs in the USA. Our Decal printing company provides long lasting vinyl window stickers. The materials we use are suitable for equipment over a long period of time. We have always challenged the ordinary. In fact, we've made a commitment to delivering the latest products and innovations to help you. You can easily place signs on the inside of a window. Vinyl lettering can be applied to the inside of a window sign in full color. 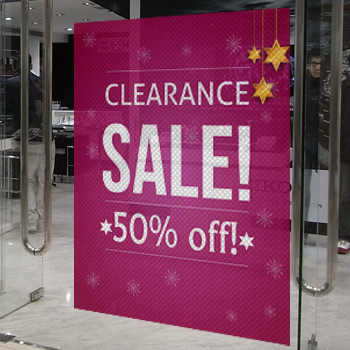 A window decal sign is very effective in promoting your shop or retail window. The window sign came out really good! Price is cheap! quality is high! I love the professional way of printingxpert! (((((Perforated Window Film))))) allows to let see through from non Printed side (inside), Self stick prints, Great for widows, vehicle windows, building wrap application. 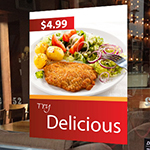 (((((Reverse Printed Adhesive Backed Vinyl Window Signs)))) If you are looking for a more permanent or higher-end indoor window sign, our reverse-printed adhesive back vinyl window signs are a good option. These are produced by reverse printing on a clear adhesive backed vinyl, so the adhesive is on the face of the sign. Because solvent inks are semi-transparent, we then back the sign with a layer of white adhesive-back vinyl to ensure your text and graphics stand out. This clear layer and white backing also adds a level of depth to your design as well. To apply, you simply remove the masking from the face of the window sign, and then apply the face of the sign to your window, facing out. ((((Static cling vinyl )))) Static cling vinyl is a special formulation of polyvinyl chloride (PVC) to which a large amount of plasticizer (a liquid) has been added. This highly plasticized formulation is exceptionally pliable. The vinyl is calendered to give it a smooth finish. When the vinyl film is applied to a clean, smooth, glossy surface, it adheres firmly without the need for an adhesive. Because there is no adhesive, application or installation is very easy. It can be removed and re-applied nearly indefinitely without leaving behind an adhesive residue. This makes it ideal for seasonal window graphics, signs, decals, point of purchase applications and protective masking applications. Plasticling static cling vinyl from Plastiprint is available in a wide array of constructions, colors and configurations. Because Plastiprint specializes in static cling, we can provide you with a high quality product that exactly meets your needs. We offer full color printing on vinyl.